The cult classic is coming back to television with enough time to binge-watch until you're caught up. 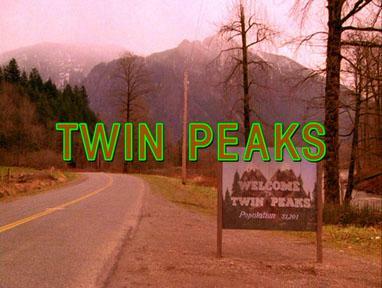 Grab yourself a slice of cherry pie and a damn fine cup of coffee; Twin Peaks is coming back. It's been nearly twenty-five years since David Lynch and Mark Frost took us out amongst the Douglas Firs surrounding the fictional Washington town of Twin Peaks, and somehow people are still buzzing about it. Originally airing April 8, 1990 on ABC, the show focused primarily on FBI Special Agent Dale Cooper's investigation into the murder of homecoming queen Laura Palmer. But shows like Twin Peaks are never quite that cut-and-dry, are they? Twin Peaks was unlike any other show on cable when it was released. That fact seems to still hold true today. Scenes turned drastically from awkward and absurd to grotesque and heart-wrenching. Dreamscapes unfolded in the now-famous Red Room. Dwarves spoke cryptic messages backwards and giants broadcast prophecies layered with enough abstraction to keep viewers intrigued. Nothing was as it seemed, and it was difficult to even decide how it was that anything seemed as the tone of the show spun itself in every conceivable direction. In short: Twin Peaks was weird. The show's first season was initially wildly successful, propelling itself into the cultural mainstream. It became one of the top-rated shows of 1990, garnering both national and international attention. It was talked about around water coolers and was reviewed well by television critics. Time Magazine went so far as to call it "…the most hauntingly original work ever done for American TV." It seemed that everyone in America wanted to know who killed Laura Palmer. However, this success story did not last forever. Ratings fell throughout the first season, eventually hitting a low when the show came back for a second. During an interview with creator David Lynch, David Letterman said of Twin Peaks: "it might be the kind of show that…has a limited run and then would become a classic forever, forever." Letterman's prophecy seems to have come true. Despite the show's cancellation after its second season, people are still talking about the not-so-quaint town of Twin Peaks. People still use Agent Cooper and Audrey Horne as their Twitter Avatars. The popular TV drama Psych even pays homage to the show in an episode called "Dual Spires" in which the characters investigate the murder of Paula Merral (an anagram of Laura Palmer). The legacy of the show lives on because of its cult following, many of whom hold a near-religious admiration for the show's mixture of surreal, horrific, and campy tones. That, and a lot of people seem to like Log Lady. Oddly enough, though, most of the cult following of Twin Peaks isn't even old enough to have seen it air originally. The show has more than lingered in the cultural subconscious since its cancellation, seeping its way up to the surface to pull more people into its mystery. However, the show's eventual release on Netflix has played a massive role in introducing it back into the semi-popular culture, at least recently. In fact, that's how I was first introduced to Lynch and Frost's otherworldly drama, having been born nearly two and a half years after the first episode aired. It's hard not to draw parallels here to Arrested Development: both shows were cancelled in their infancy despite positive reviews and both were resuscitated on Netflix. And now, with Showtime's announcement of a nine-episode return of Twin Peaks in 2016, both have been renewed for extra seasons. And it is exactly this comparison that frightens me. Don't get me wrong, I enjoyed to new season of Arrested Development, but I – and several others – seemed to think something was lacking from it. Even when I laughed, it seemed only in comparison to older episodes, things I'd laughed at before when the show was finite. Perhaps this is what was lacking from the fourth season of Arrested Development, that sort of nostalgic pang that comes with knowing that what you are watching, what you enjoy has a definitive end. Perhaps some of the charm of Twin Peaks that has earned the show its enduring legacy is that it never wrapped up neatly, that viewers went in knowing they couldn't come out with everything they wanted. This gray space left room for interpretation, allowed for the formation of intricate theories that gave fans something to think about after the final credits rolled. But I still hold out hope for the new season. Both Lynch and Frost are working on the project, and I don't expect Showtime to put out a bad series. Besides, we've still got a long time until the show returns in 2016. So until then, put on another pot of coffee, tune in to Invitation to Love, and remember: the owls are not what they seem. Chris Sexauer admits to binge-watching most of the show in the span of a week. If you have any questions, comments, concerns, or crazy conspiracy theories, he can be reached at csexauer@ErieReader.com.